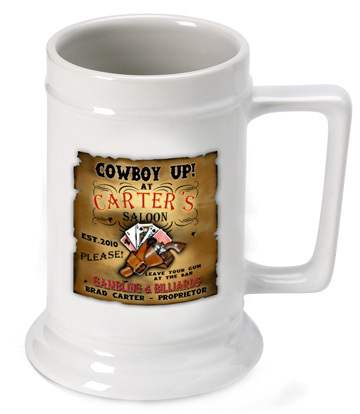 FEATURES/SPECS Cowboy Up when you're in your home bar or man cave with this personalized white ceramic beer mug. 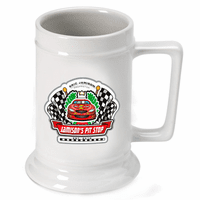 It holds sixteen ounces of your favorite beverage and the square handle is sturdy enough to hold up to some heavy drinking. The custom artwork on front includes a holstered gun with the words "Cowboy Up" printed boldly across the top. 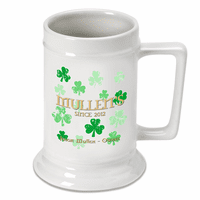 It also implores everyone in your man cave to leave their gun at the bar. 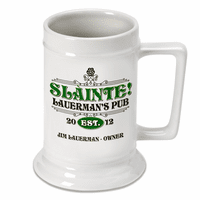 Add your name as both the owner and proprietor for a personalized touch. 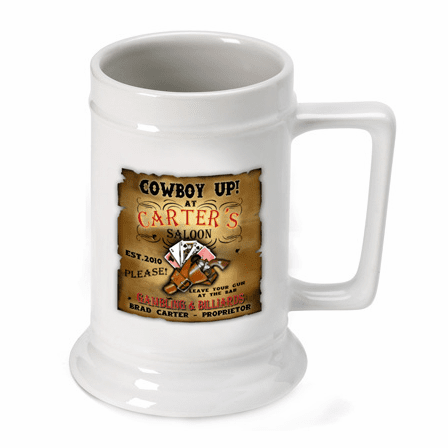 This customized Cowboy Up beer mug makes a great gift for groomsmen. 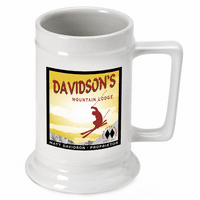 Comes personalized with the words "Cowboy Up"